The list of possibilities is endless—the point is to have students form their own process when approaching a text. 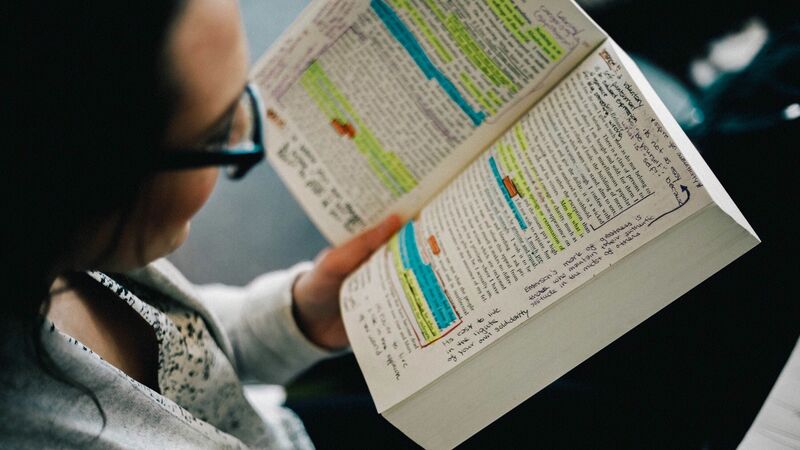 But don’t be afraid to give students specific annotation guidelines such as “annotate the writer’s characterization techniques” or “find examples of . . .” to help them focus. Annotations also help students identify which strategies work best for them as they try to process and understand information. The clip “Girls Read Comic” from The Big Bang Theory is a great way to introduce the concept of reading closely and its importance. Simply put, the best way to improve reading is to read, and students are more likely to read when they have a choice in the reading. Newsela and CommonLit offer a variety of nonfiction articles for choice (and CommonLit includes fiction as well); both sites include articles with various grade levels and across multiple disciplines. Classroom libraries built from donations, garage sales, and thrift shops encourage students to take books for personal reading. Ask students about their interests and make recommendations. Reading for pleasure builds transferable skills for content reading and should be encouraged, including in class. Create a mind map, literary 3x3, or infographic.